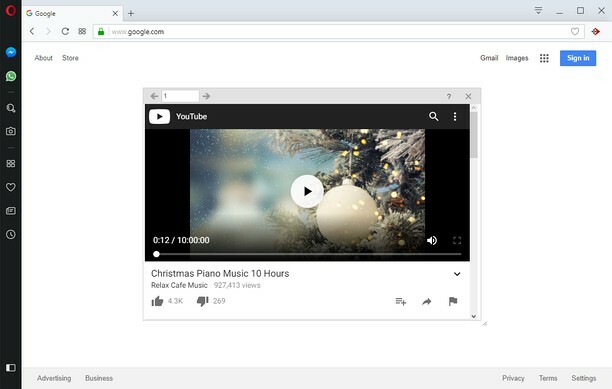 Anywhere Player for YouTube™ provides access to a floating YouTube Window on any page, plus, you can drag the window to any position! In order to start the addon, please right-click on any page and then click on the "Anywhere Player for YouTube™" from the context-menu item. Alternatively, you can click on the toolbar button. a. Allows you to play YouTube anywhere in the page (any website). b. The floating window shows YouTube mobile view and is resizable. c. Close button allows you to close the window at any point. d. Floating panel blocks most YouTube ads! therefore you wont see any ads if you watch YouTube videos within the panel. Note: in order to report Bugs, please visit addon's Homepage (http://mybrowseraddon.com/youtube-anywhere.html) and fill the bug report form. A intenção é boa, mas o add-on é disfuncional!